It’s been awhile since I last posted anything here. Contrary to having graduated from being a noob, it’s because I’ve stumbled over Django’s powerful templating language. Yes, everyone keeps emphasizing how powerful it is. So much in fact that I cannot find out where to start learning it. What’s a noob got to do? This is a lazy post and more of a bookmark, but I found a really straightforward and clear tutorial for creating your own django template tags. Django’s own documentation is unfortunately not very beginner friendly! my dictionary listing of tags and what they do. So having turned my Django debug to false, I realise it no longer serves static files for me and my webserver is not doing its part in holding up its end of the bargain! Talk about dropping the ball! I changed the location of my secret_key to somewhere secretive and important. Where upon my static files are all messed up again and no longer link up. Nope, I’m not done yet, but I’m keen to have at least half my site live so that I can stop looking shame-faced and shifty-eyed when people ask about my website. Especially if just a moment before I was running an elevator pitch. So with all the security scare about Heartbleed bugs and keeping secret keys, while, secret, I still have no clue what to do different when deploying as vs. to developing. You mean I don’t just upload the whole lump onto a live server and point my domain name at it? Tommy Jarnac has a brilliant post on the best practices for moving a Django project into production mode. Meanwhile, I’m taking so long on my website I wonder if I should just turn it into a ‘reality’ tv show and let visitors see my bits and pieces of experimentation LIVE. so it was a very very stupid reason that was causing my blank template renders. which strangely worked offline locally, but obviously wasn’t loading online through django. Removing the // solved the entire issue. Now however, I get an uncompressable File Error. Oops, found it, I forgot to add a static link in my css href. 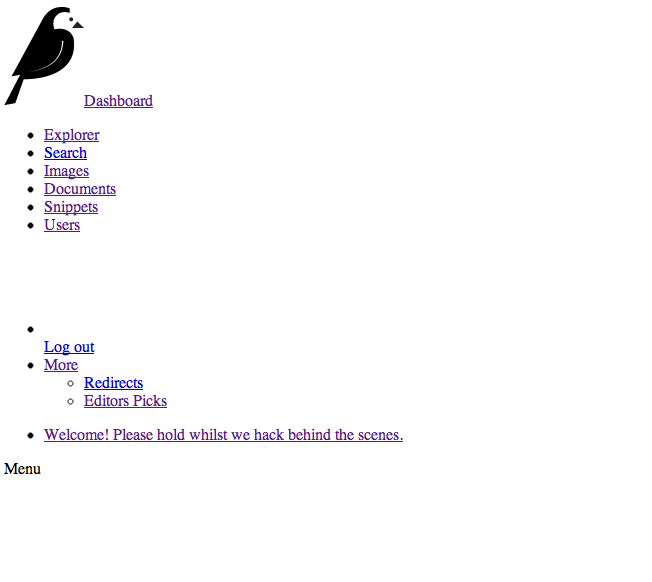 Now it kinda sorta works, except my page is blank and not showing anything. although it’s parked right next to all my other htmls in my templates/wagweb folder. hmm… reminds me of when static files were not loaded. Something is differently pointing wrongly!